Refrigerator Pickles remind me of growing up in south Florida. I was raised in the land of the Jewish deli (oh, how I love a good Jewish deli) where they would always put a dish of of crunchy pickles on the table for munching before your entree arrived. Oh, I love those pickles. So I went ahead and made some. 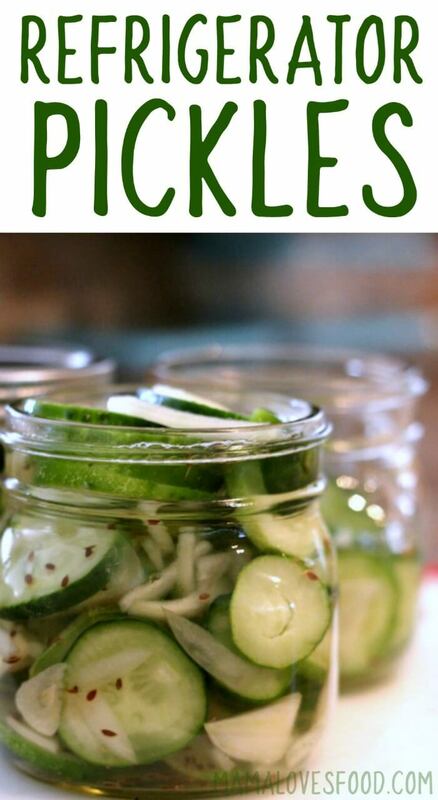 I have no idea if the authentic deli pickles are made this way, I just make these refrigerator pickles the easiest way I know how. Also the most delicious. Most. Deeeelicious. I like to serve them with a tuna stuffed tomatoes or on top of pulled pork sandwiches! Cucumbers – use whatever kind of cucumber you like, but if you use the type with wax make sure to peel them first. Fresh garlic – I like to slice mine thin and then eat them with the pickles. Yummmm. Sweet yellow onion – Also super delicious pickled. Don’t worry, they don’t make your pickles oniony, they just add more flavor. Dill seed – Yes! Dill seed, not weed! Dill weed will work in a pinch, but dill seed is definitely better. White vinegar – nothing fancy! Filtered water – it’s really important to use filtered water, you don’t want your pickles tasting like chlorine. How long can I keep refrigerator pickles in the fridge? 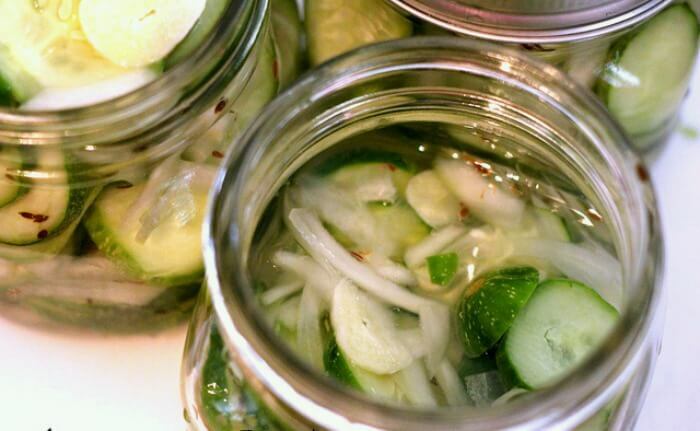 Refrigerator pickles will keep in the refrigerator for 3-4 months but will start to lose their crunch after that. That said, we’ve never had them last more than a couple weeks because they’re so popular! Yes, pickles should be refrigerated after opening. 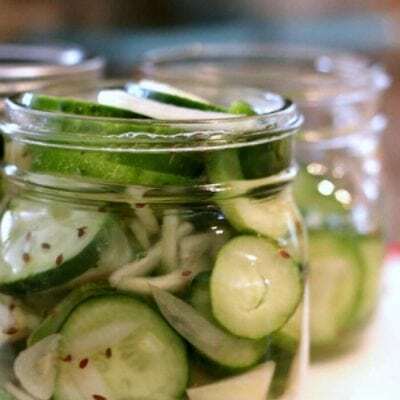 And in this case, because they are refrigerator pickles (as opposed to water bath canned pickles), you will want to keep them in the refrigerator before you open them too. Can you freeze refrigerator pickles? No, you cannot freeze refrigerator pickles. Refrigerator pickles if put in the freezer will get soft and mushy. 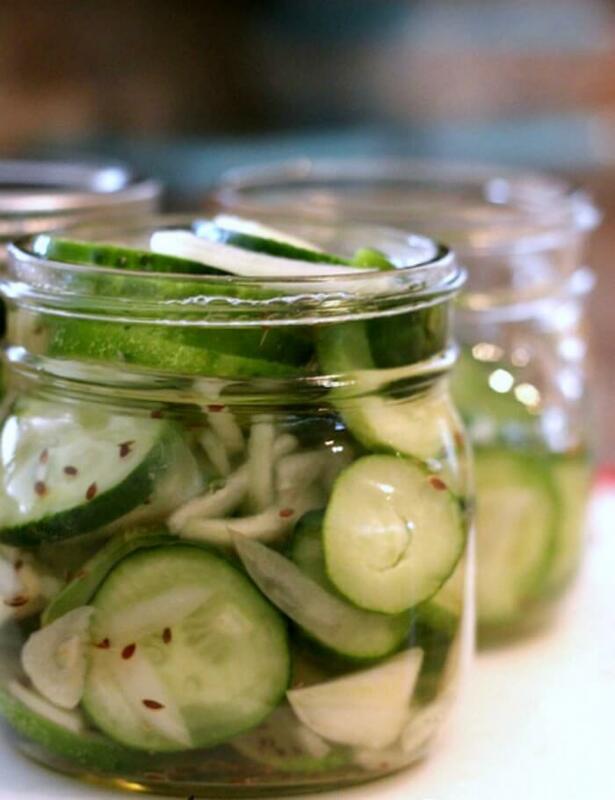 One of the great things about refrigerator pickles are their crunch, so you definitely don’t want to mess with that! V-blade Mandoline Slicer – We love this mandoline slicer for making perfectly even pieces of cucumber for your pickles. Use the thick slicer for crunchier pickles and thinner for perfect sandwich pickles. 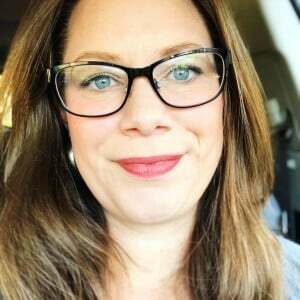 FOLLOW MAMA LOVES FOOD ON ★ FACEBOOK ★ INSTAGRAM ★ PINTEREST ★ TWITTER ★ YOUTUBE ★ so you never miss an update! Add cucumber, onion, and garlic to a large bowl. Sprinkle with dill seed and salt, then mix well (alternately you could layer directly into your mason jar). Pack mixture into mason jars. Pour vinegar into jar until it is about 1/4 - 1/3rd full. Fill remainder of the jar with water, screw on cap (tightly!) and give it a good shake. Taste your brine (no, SERIOUSLY) - this is your opportunity to make adjustments! Can I use whole pickles? Can you fix these in a water bath to last longer? These are wonderful, and I even used fake salt. I like a little less onion and a little more garlic and my daughter is the opposite so we each get to have what we want. Love the taste. This is my second time and no they do not last. so glad you enjoyed our refrigerator pickles! they go fast in our house too!